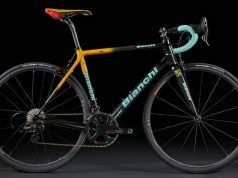 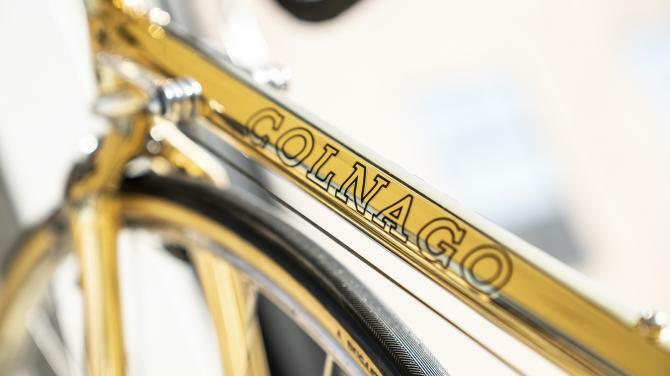 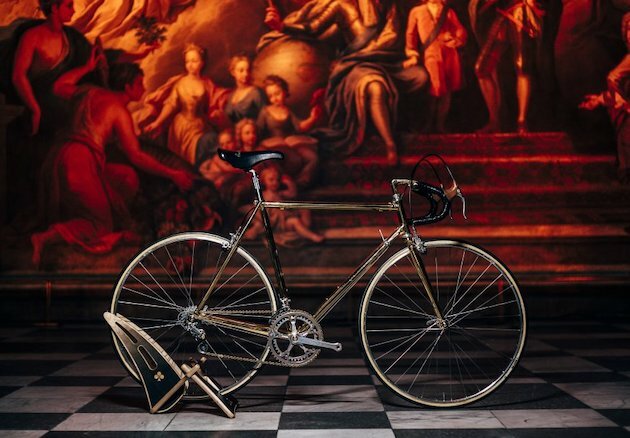 The founder of the legendary bike brand that bears his name, Ernesto Colnago was presented with a gold Arabesque frameset – worth an incredible €50,000 Euros – to celebrate his 87th birthday. 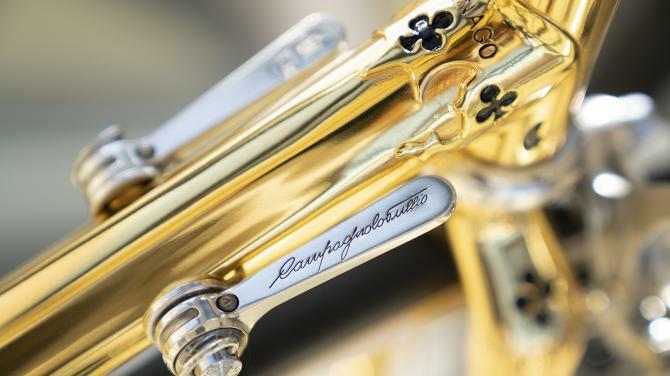 The 24 carat gold Arabesque frame is not dissimilar to the one presented to Pope John Paul II in 2016. 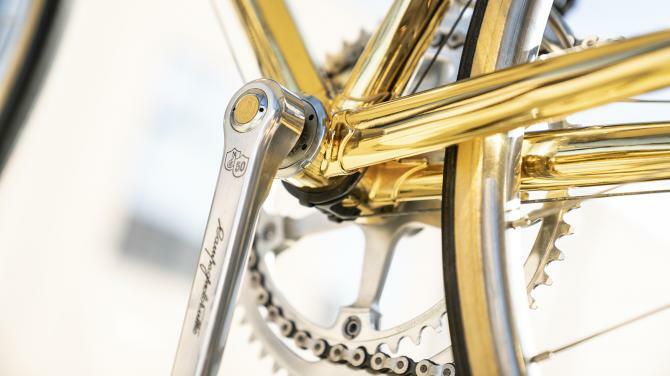 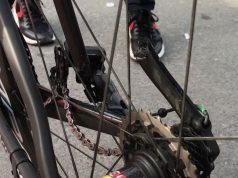 Its no expense spared build features a complete heritage Campagnolo Super Record groupset. 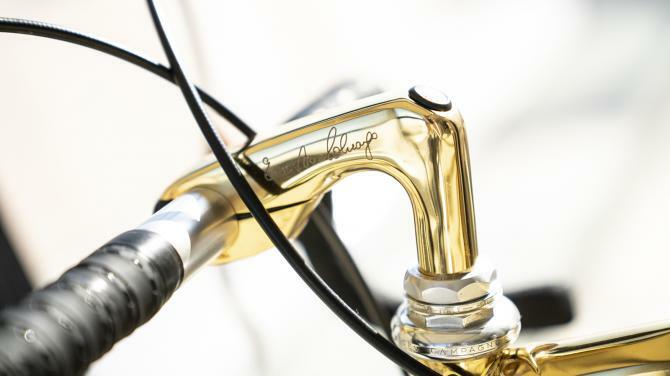 The Colnago Arabesque frameset was a special design commissioned in 1984 to celebrate the brand’s 30th anniversary with ornately designed lugs for the steel-tubed frame. 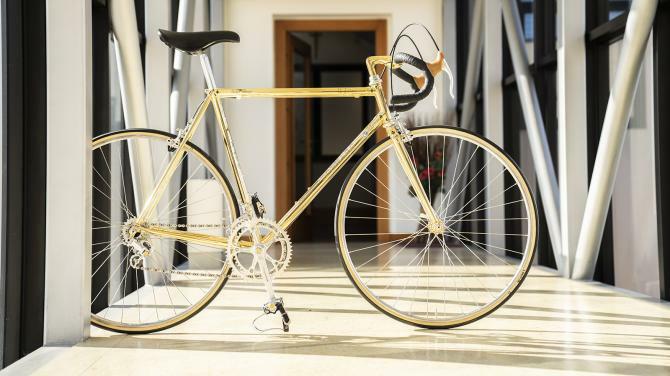 “The star-shaped frame of the iconic Master, the special alloy used to produce it and its 24K gold plating give it an inestimable value. 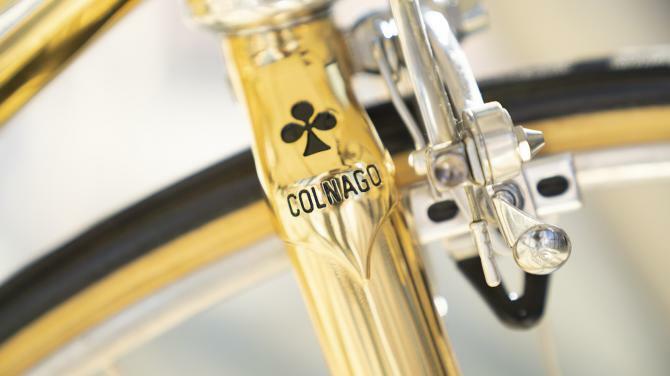 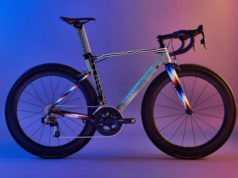 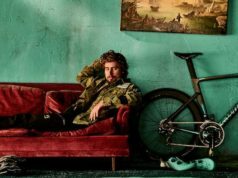 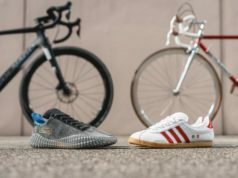 The combination of these features together with the skilful craftsmanship needed to assemble the frame makes this bike an unequalled product from both a technical and an aesthetic point of view“, says Colnago.